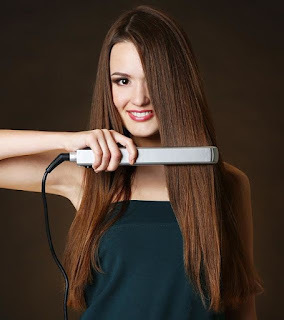 If you are using a high-quality straightening iron and then you can straighten your hair without damage. The one important point you need to remember is that to use a straightening iron at an appropriate temperature. If you possess a good-quality straightener then you will always have the option to adjust it to appropriate September. You can adjust the temperature as per your hair type. For slightly or fine damaged hair, the temperature of 250 – 800 degrees F is appropriate. For thick hair you may select a temperature of 300 – 350 F, while frizzy or coarse hair can be straightened to 350 – 400 Degree F.
Wash your hair well and blow dry them well. Apply some heat protestant on your hair. Equally, divide your hair into small layers and sections. Take a straightening iron and set them into the lowest layer. If you see any sizzling hair then you must stop immediately. Once you are done with straightening of your entire hair you may apply a good-quality hairspray as a lasting finish product like hair fixer or hairspray. Another way is to straighten your hair is using milk. Milk is a miraculous remedy for curly hair and can keep them nourished and straight for a longer time. Take milk in a bowl and pour it into a spray bottle. Spray milk on your dry hair and then let it rest there for 30 minutes. After that, you may wash your hair with water and a gentle shampoo. Take 1 cup milk and add 1 tbsp honey to it. Mix the two ingredients well in order to create a smooth paste. Now take one banana and mash it well in order to create a smooth and thick mixture. Bananas are good for moisturizers for hair and applying them ensures that your hair is never dry. Apply this paste to your hair and let it settle on the hair for 1 hour. Wait till the mixture gets completely dry. Now wash the hair well with shampoo and conditioner. You will notice the difference from the very first application. This is another natural and effective treatment for hair straightening. Even olive oil is great for to straighten the process of straightening hair naturally. Take two eggs and beat them in a bowl. Add 2 tbsp of olive oil to the mixture. While egg will definitely create a smooth base, it is also great to keep hair soft, smooth, and bouncy. Apply the mixture to your hair and cover it properly. Let the mixture work for 45 minutes or 1 hour. Once the mixture is dry then you may wash off it with shampoo and conditioner. Although this mixture will not deliver you instant results, if you applying it regularly for few weeks, then this will give you an excellent result after a month. 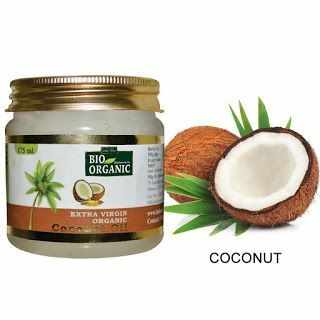 Coconut milk is one amazing product that can be used for hair straightening. This is one of the finest products for dry hair. Take 1 cup of coconut milk and put it in a bowl. You may squeeze half lemon on it. Mix the ingredients well and let it allow cooling in the fridge. Now apply the mixture to hair and cover your entire hair properly. Take one towel and heat it up with the help of a blow dryer for a few minutes. Now wrap the hair in a warm towel. This will ensure that the hair will soak all the nutrients. After half hour, wash your hair with shampoo. So, these are some of the most effective methods for straight hair. You may use any of the methods depending on your choice, or you can try these methods every week to know which one works best for you. Since these are all natural methods so you will not experience any side effects from it.